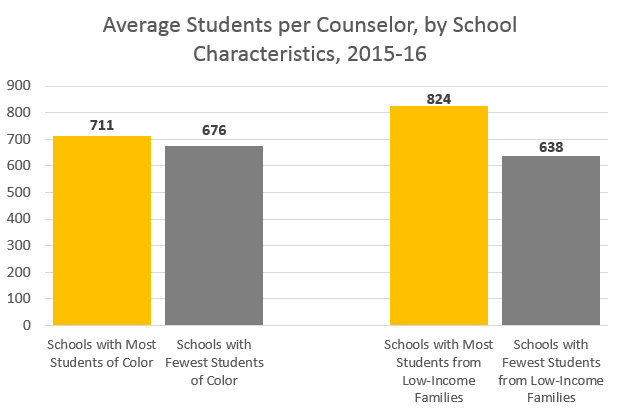 Setting high expectations for all students is critical for ensuring equity in education. 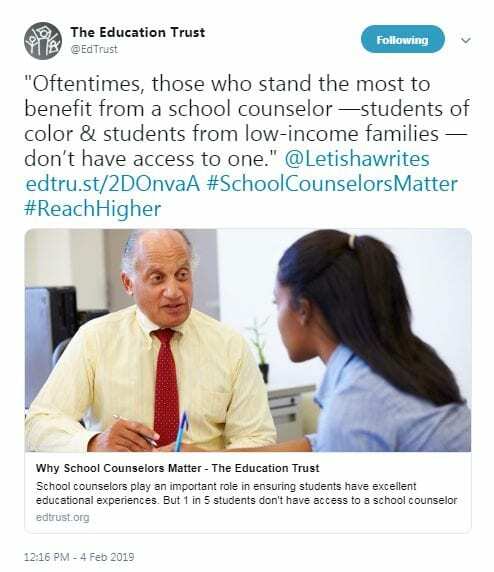 And once set, students and teachers need support and time to grow and achieve at higher levels. The MDE is accepting online public comment on the final draft social studies standards through Sunday, September 30. 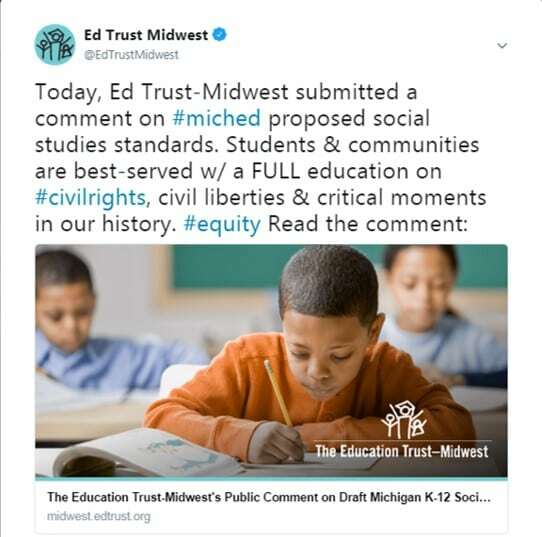 The Education Trust-Midwest’s full comment is available here. 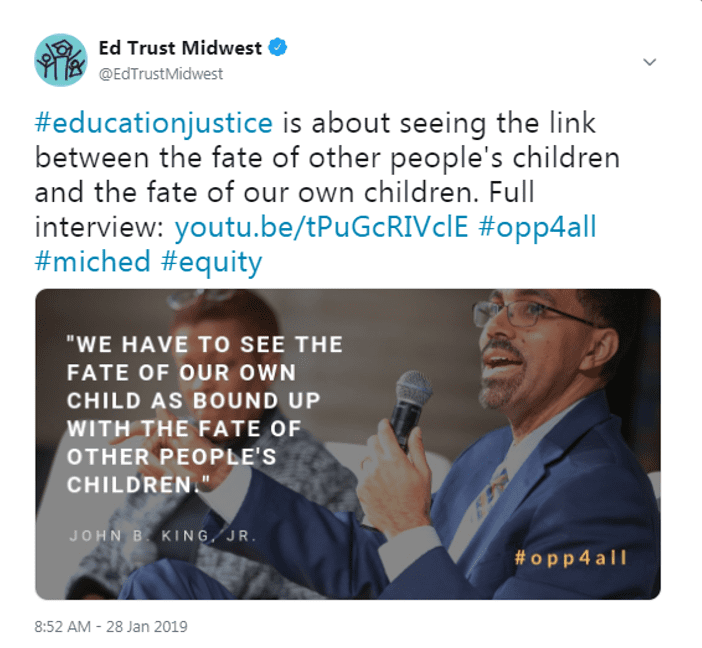 The Education Trust-Midwest’s Amber Arellano will join a panel of experts for a discussion on the state of Michigan education, moderated by Chastity Pratt Dawsey, education reporter for Bridge Magazine. The discussion will take place as a part of Metro Parent’s 23rd Annual Education Expo at Cranbrook Institute of Science. The event is free to the community, but pre-registration is requested. When: Sunday, September 30 from noon – 3:30 p.m. Registration and information available here. The State Board of Education Legislative Committee will meet on Thursday, September 27 at 3:30 p.m. in the Runkel Room on the 4th floor of the John A. Hannah Building.